Experiencing a renewed interest in its slim and flattering design, the pencil dress originated during the forties in response to war-time fabric shortages. With rationing measures easing, Christian Dior responded to the post-war consumer cry for luxurious fashions with the voluminous skirts and sumptuous fabrics of his "New Look." 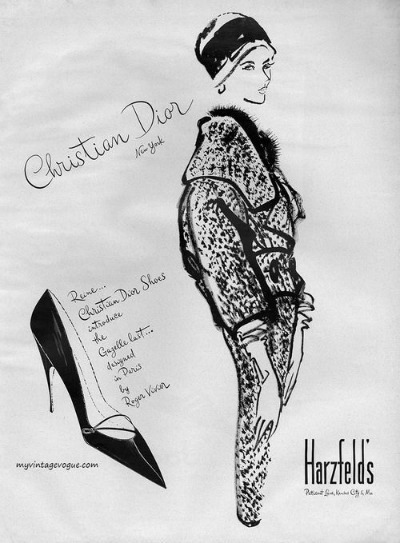 After only seven years though, the fickle fashion world once again turned toward slender pencil skirts with the 1954 introduction of Christian Dior's H-line. The slim style was equally fashionable as an evening gown, cocktail dress, or a business suit. The woman's silhouette with its high bust and relatively straight cut from the shoulder to the hip was now shaped as the letter H. Cuffs at the wrist or skirt pockets accented the hip. 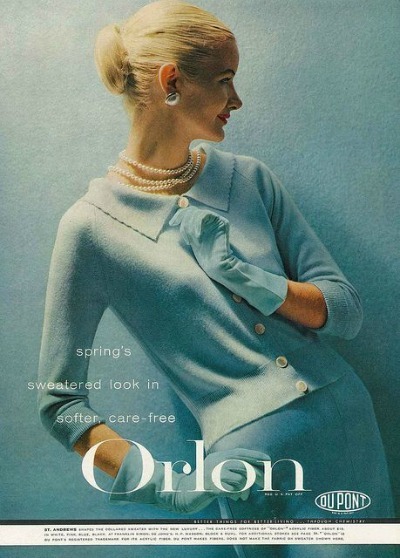 As other couturiers followed suit with their own pencil shaped lines, it quickly became the look of the fifties and was copied and presented as ready to wear in department stores around the world. 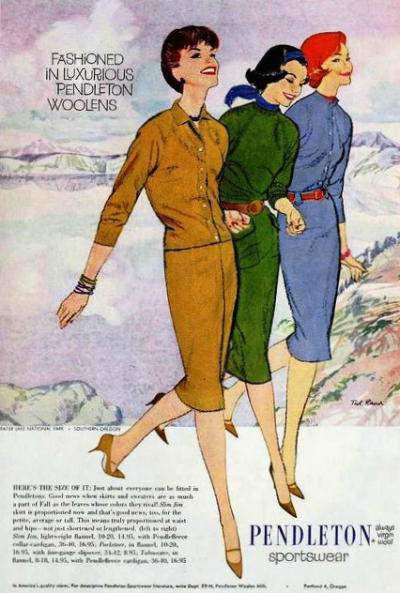 Fifties' textiles were often nubby woolen tweeds lined with silk fabrics. Sometimes blended with wool, the new DuPont fabric Orlon became popular for its easy care and durability qualities. 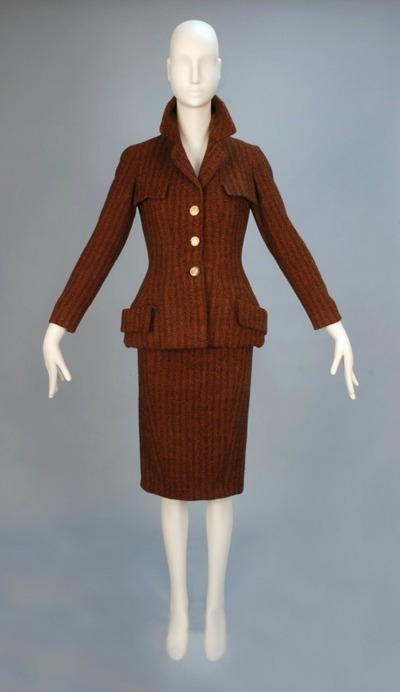 Whether wearing a Coco Chanel boxy suit jacket and solid black pencil skirt ensemble or neatly dressed in trim suits or shirtwaist dresses, these fifties women made fashion statements at PTA meetings, while shopping, or in the workplace. The fifties pencil skirt remains relevant in today's fashion world as women continue to opt for the classic straight skirt design.